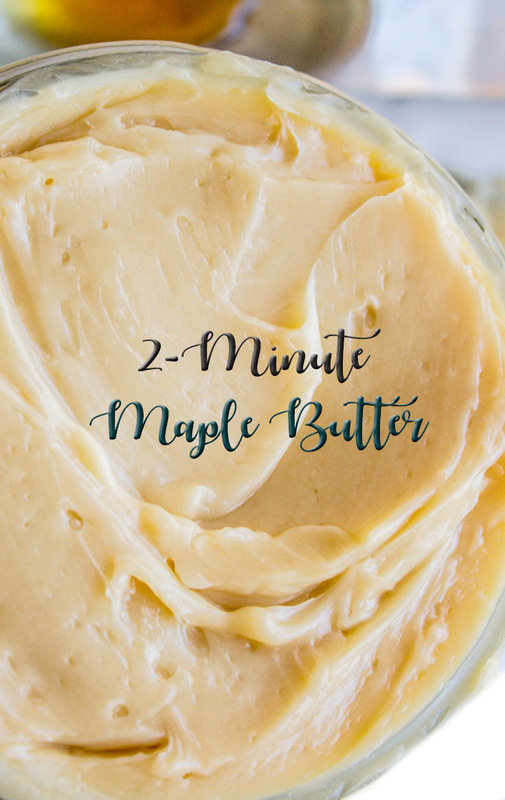 In a mixing bowl, beat the butter until light and fluffy. Very gradually add about half of the maple syrup and all the powdered sugar. Beat well. Add the remaining maple syrup in small increments, beating well. Start to taste it towards the end. You might prefer less maple syrup! Add salt (cautiously) and beat again. Makes about 2 and 2/3 cup. Enough to fill 2 half-pint jars (or a 1 pint jar) and have enough leftover for you to scarf it down with your toast for a few days. You can store this on the counter for a couple days, but since real maple syrup must be refrigerated after opening, I would throw it in the fridge if you don't think you'll use it up in a week or so.